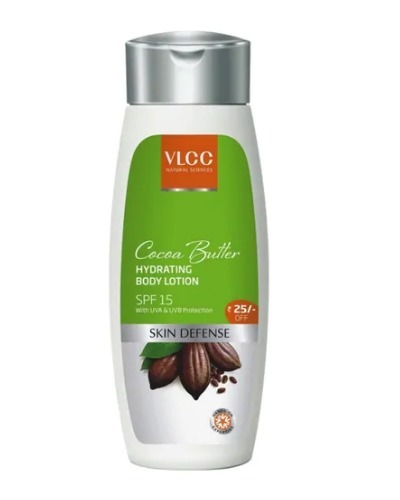 The Best Body Lotions For Every Skin Type, Because Your Body Needs Some TLC Too! While most of us have a proper cleansing, toning, moisturising routine in place for our face, what we generally overlook is the rest of our body. No amount of emphasis will be enough to say that the skin on your body requires as much care and attention as your face. When it comes to skincare, moisturisation is probably the most important element. From making the skin soft and supple to keeping bumps and dryness at bay, moisturisation has several benefits. Here are the best body lotions that you will ever need to hydrate the biggest organ on your body- your skin. 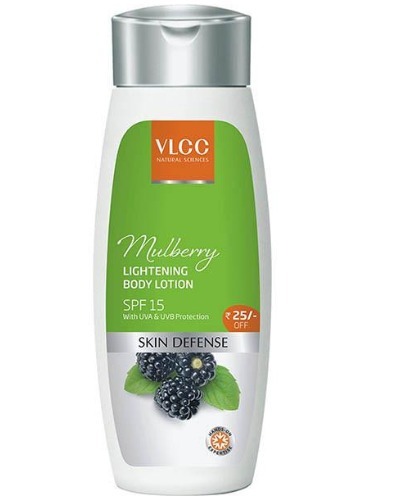 The product has a velvety feel and the goodness of rich mulberry extracts. Mulberry is known for its natural skin lightening properties. It also has antioxidants that protect skin from free radicals.This product is one of the best body lotions for summers. Price: INR 250 for 350 ml. Buy it here. Enriched with aloe vera and cucumber extracts, the lotion gives a cooling effect to the skin on hot days. The product is particularly effective on dry skin as the aloe vera soothes the skin and cucumber cools it down. 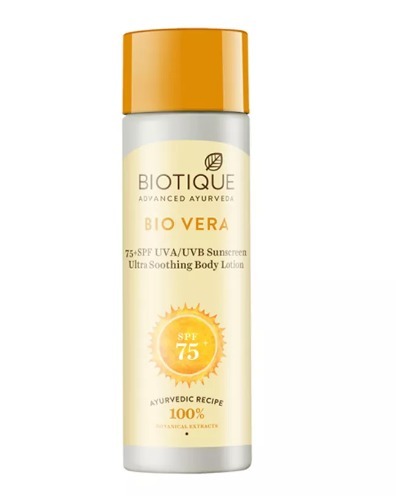 Rich in aloe vera, margosa bark, nut grass seeds, sunflower oil, and kulanjan fruit, this amazing body lotion from Biotique is totally organic and shows immediate results. A large part of the product consists of aloe vera that is a natural moisturiser with antibacterial and anti-inflammatory properties. Price: INR 590 for 190 ml. Buy it here. The fast absorbing formula of the product with advanced collagen protection makes it one of the best products in the market for the summer season. SPF 50 gives instant protection to the skin from the harmful rays of the sun while the advanced collagen formula prevents wrinkles and restores skin’s moisture. Price: INR 254 for 75 ml. Buy it here. The advanced moisture lock formula of the product prevents moisture loss for 24 hours without reapplication. Rich in natural moisturising ingredients like shea, the lotion replenishes the skin and gives it the daily dose of moisturisation. The product is specially created for extremely dry and parched skin. The CocoLipid formula penetrates 10 layers deeper into the skin and locks in moisture for the entire day. Price: INR 132 for 250 ml. Buy it here. The goodness of cocoa butter deeply moisturises the skin and gives it a healthy glow. The Stratys 3 formula of the product claims to moisturise the top three layers of surface skin giving it a natural glow. 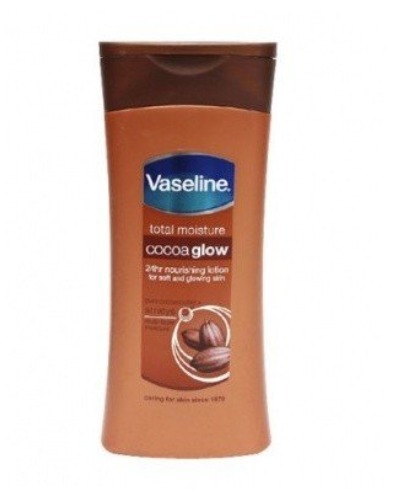 a) Cocoa butter in the lotion offers deep restoring moisture to the skin. Price: INR 205 for 400 ml. Buy it here. 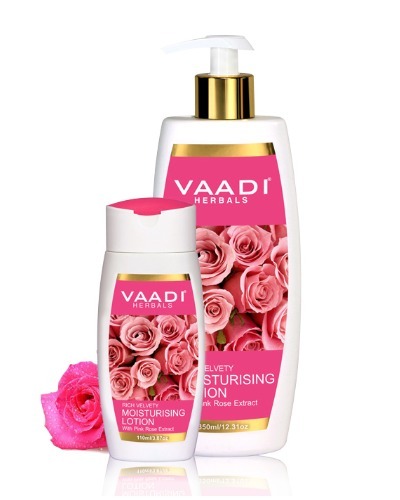 The combination of pink rose and goat milk keeps skin moisturised. Rich in multivitamins, the lotion penetrates deep into the skin’s layers and hydrates it without clogging the pores. Feels a little greasy on the skin. 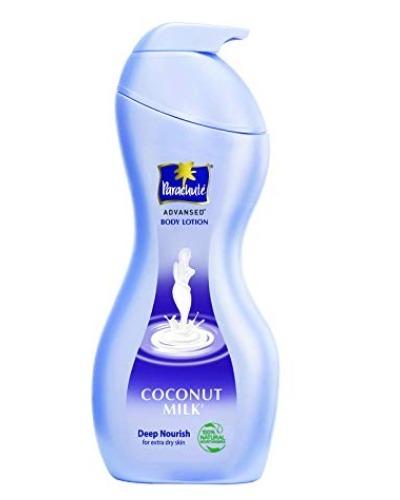 Price: INR 155 for 350 ml. Buy it here. 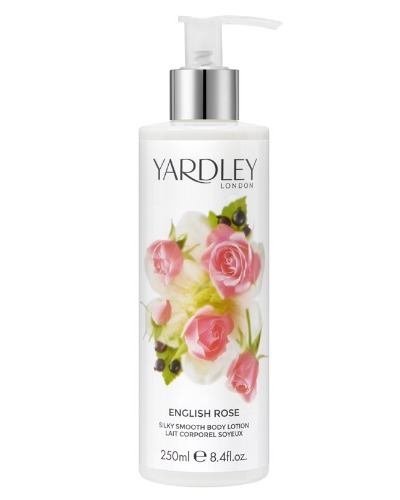 Enriched with vitamin B3 and C, the Yardley body lotion has a refreshing fragrance of rosebuds, magnolia, violet and cassis. Patchouli and musks in the product give it a velvety touch. Price: INR 275 for 400 ml. Buy it here. 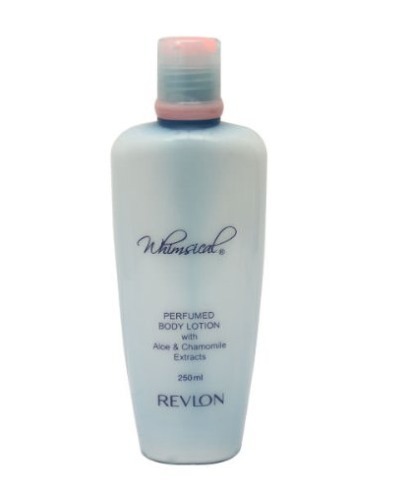 The perfumed lotion is enhanced with aloe vera and chamomile extracts and provides advanced hydration while nourishing and protecting the skin. a) The lotion has a cream-like texture that is easily absorbed in the skin. Price: INR 185 for 250 ml. Buy it here. The product is rich in glycerin- a moisturising agent that draws moisture from the air. The lotion also has a combination of other emollients that hydrate the skin immediately and keep it moisturised for the next 24 hours. Price: INR 300 for 250 ml. Buy it here. The unique HYDRALUCENCE formula restores skin’s luminosity and gives visibly soft skin. Plus, it softens and improves skin’s texture and tone. Price: INR 652 for 500 ml. Buy it here. 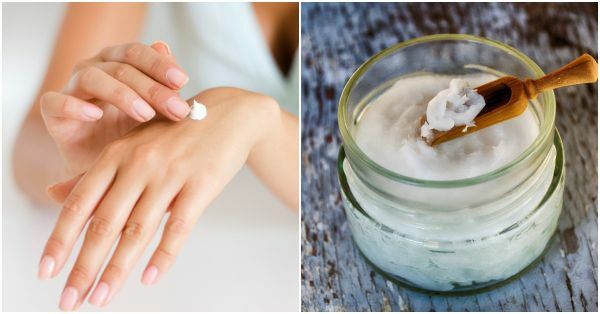 Are you looking out for best body lotion for dry skin? Then,this one is for you. 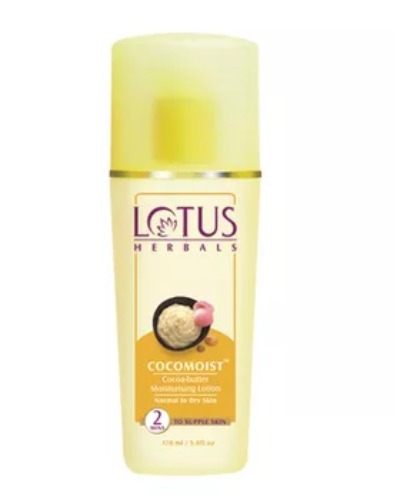 This moisturising lotion from Lotus Herbals contains rose extracts that regulate skin pores and honey that softens the skin. 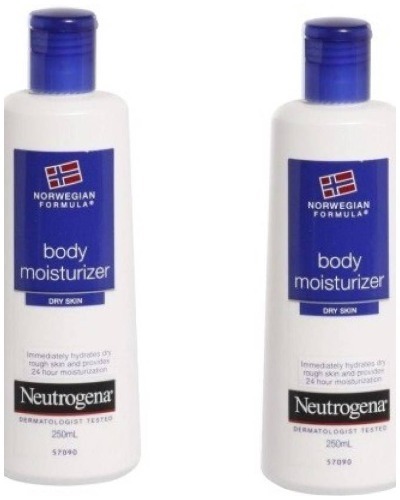 The all-purpose lotion maintains the pH level of the skin and improves its moisture retention capacity. Price: INR 395 for 170 ml. Buy it here. This soft, light hydrating lotion provides the much-needed hydration to dry skin without feeling too heavy. The strong smell of wild rose is refreshing. a) Feels super light and has a sweet smell of roses. Price: INR 290 for 200 ml. Buy it here. Made with cold pressed lemon seed oil from Italy, this lotion from The Body Shop leaves the skin pleasantly scented and moisturised. Price: INR 495 for 250 ml. Buy it here. 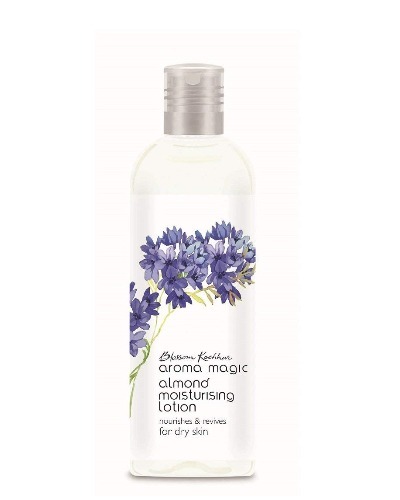 This hydrating body lotion is full of essential fatty acids that penetrate deep into the skin and moisturise it. SPF 15 protects the skin from UVA and UVB. Price: INR 299 for 350 ML. Buy it here. 100% natural product free of parabens and artificial fragrances. 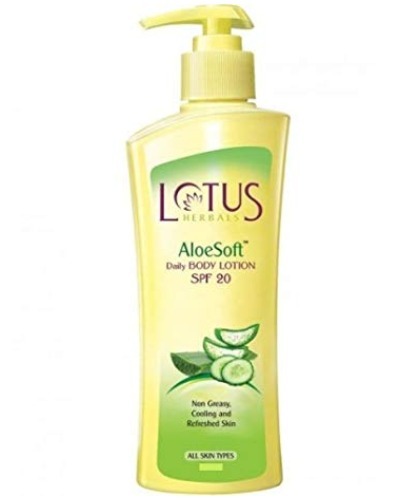 SPF 15 in the lotion protects the skin from sun damage and the almond and lotus leaf extracts moisturise it. Price: INR 171 for 100 ml. Buy it here. The product replenishes skin with it's fast absorbing and non-sticky moisture formula. 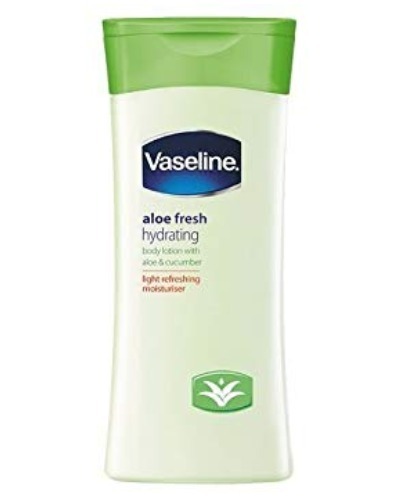 Refreshing aloe vera gives an instant cooling effect. Price: INR 875 for 600 ml. Buy it here. Make sure you know what you are applying on your face. Check for the ingredients label on the packaging. If the product contains anything that you are allergic to, you may end up causing trouble to your skin. Not all products are made for every skin type. Before using anything on your skin, make sure you know what your skin type is and then buy something that meets your skin’s requirements. Don’t forget sun protection. 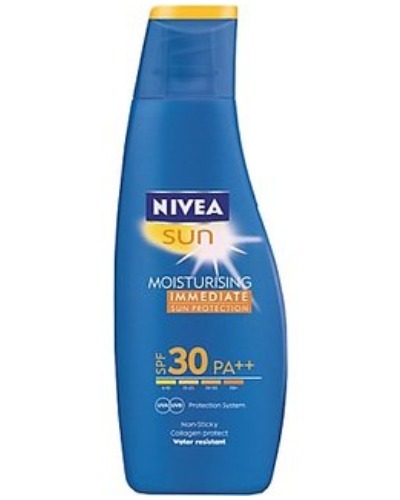 Even if you spend a very little amount of time out in the sun, it is recommended to use a lotion that gives your skin protection from the sun’s harmful rays. Before applying lotion on your skin, make sure it is clean. Applying lotion on unclean skin can attract dirt and grime and do more harm than good. The best time to moisturise your skin is when your skin is slightly damp. 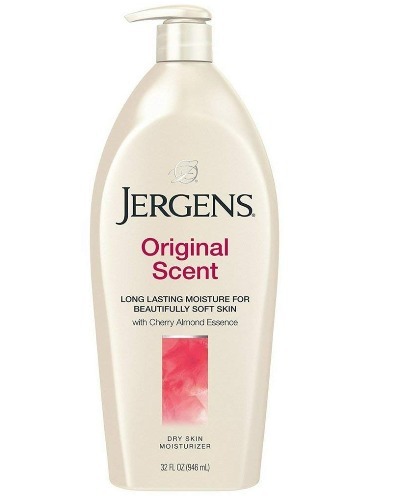 Apply lotion right after bathing, when the skin is clean and damp. Exfoliation opens up your pores. So when you apply lotion on your skin, it penetrates deep inside your skin giving you the maximum benefits of the product.